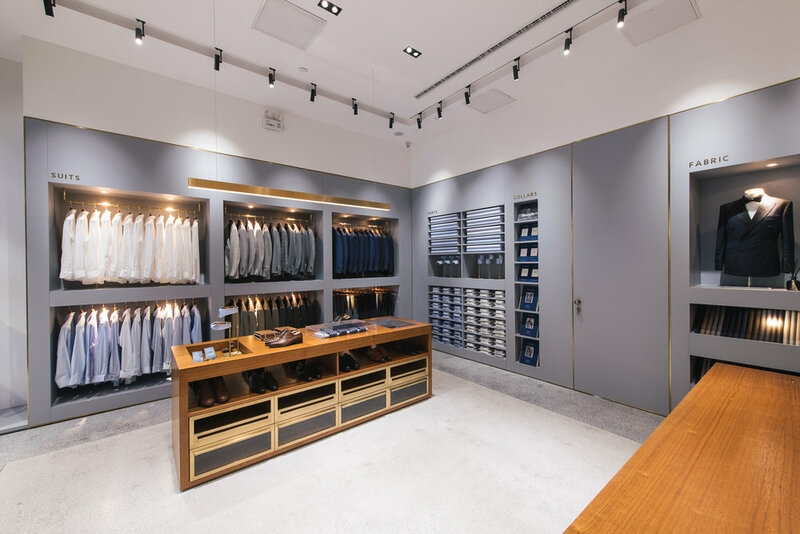 ZHIZUO, which loosely translates from Mandarin to "craftmanship", is a bespoke tailor shop in Beijing. The brand previously existed online only, which provided STUDIO DOHO with the opportunity to explore the brands' identity for its first shop. 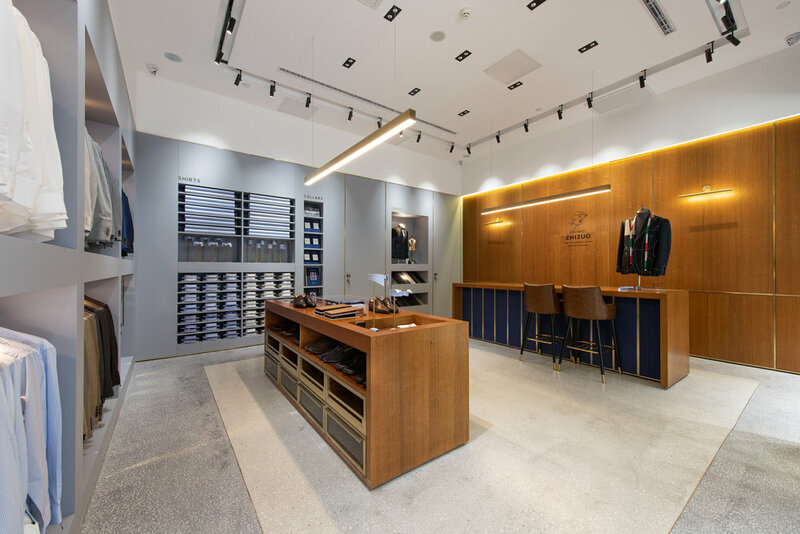 The designers aim was to create an interior that captures the same level of modern detail as the bespoke suits being sold in the space. Custom fitted retail display for shirts, collars, fabrics and display mannequins were carefully integrated into the walls. Brass frame work accents the display recesses, similar to highlights on a custom suit. A concealed fitting room is located behind the display wall. Fabric from the brand's collection was integrated into a large work table to create a unique centerpiece table and allow the product to be the primary focus. A blue-grey color palette and a custom terrazzo floor create a fresh, modern space to complement the suits.